$334.99 & FREE Shipping on orders over $59. 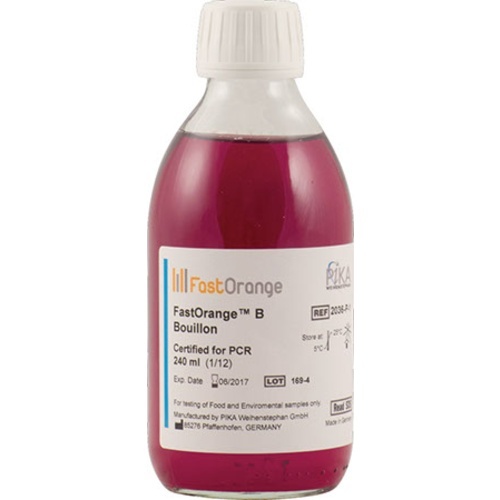 The most popular form of Fast Orange B for Craft Breweries with a lab is this bulk Boullion in 240ml jars. Many breweries choose this size because they can prepare larger samples, say 50ml, using whatever sample jar they choose. Dr. Gudrun Vogeser, inventor of Fast Orange, recommends a culture flask. Samples are diluted 1:1 with wort or beer. 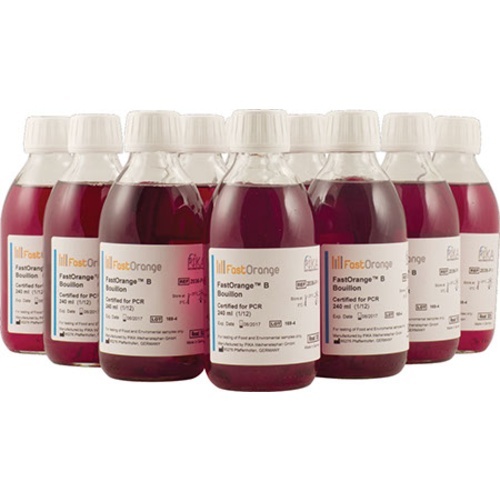 Pika FastOrange B is a nutrient medium developed specifically for the craft brewing market, it is used for the detection of beer spoiling microorganisms throughout the entire production process. The FastOrange B will change colors based on the presence of bacteria, such as lactobacilli and pediococci, allowing for easy visual assessment of contamination. This enrichment media serves many purposes, first and foremost, as an identifier of spoilage organisms, and isolation of infection point. If there is a contamination in your beer, use the FastOrange B to determine where that bacteria is being picked up. Once an infection is isolated, the bacteria can be sent to a lab for PCR analysis, where you can find out exactly what bacteria is causing your beer problems. In this same way, positive bacterias can be isolated as well, and propagated for further brewing/souring!